Robert Rauschenberg was an American painter and graphic artist who was a prominent member of the American Post-War avant-garde, and whose early works anticipated the pop art movement. Rauschenberg is well known for his “Combines” of the 1950s, in which non-traditional materials and objects were employed in innovative combinations. The idea of combining and noticing combinations of objects and images has remained at the core of his art. Our Fine Art Gallery has the finest quality Robert Rauschenberg original prints, lithographs, screen prints, posters, and artwork for sale. We encourage you to make an appointment to see specific works you are looking to collect. We are happy to meet you at either our art gallery showroom or at your home or office for a private presentation. Pop Artist Robert Rauschenberg was born in Port Arthur, Texas in 1925. Robert Rauschenberg first imagined himself as a minister and pharmacist as a child, and it wasn’t until 1947, while Rauschenberg was in the U.S. Marines that he discovered his aptitude for drawing. After leaving the Marines Robert Rauschenberg studied art at the Kansas City Art Institute and the Academie Julian in Paris but quickly became disenchanted with the European art scene. In 1948 Robert Rauschenberg moved to North Carolina, where the country’s most visionary artists and thinkers, such as Joseph Albers (of the Bauhaus school) and Buckminster Fuller, were teaching at Black Mountain College. Alongside artists such as dancer Merce Cunningham and musician John Cage, Robert Rauschenberg began what was to be an artistic revolution. Soon the North Carolina country life began to seem small to Rauschenberg and he moved to New York City. From 1949 to 1952 Robert Rauschenberg studied with Vaclav Vytlacil and Morris Kantor at the Art Students League of New York, where Rauschenberg met fellow artists Knox Martin and Cy Twombly. Amidst the chaos and excitement of city life, Robert Rauschenberg realized the full extent of what he could bring to painting. Rauschenberg’s enthusiasm for popular culture and his rejection of the angst and seriousness of the Abstract Expressionists led Rauschenberg to search for a new way of creating art. Robert Rauschenberg would cover a canvas with house paint, or ink the wheel of a car and run it over a paper to create a drawing while demonstrating rigor and concern for formal painting. Rauschenberg’s approach was sometimes called “Neo-Dadaist,” a label Rauschenberg shared with the artist Jasper Johns. By 1958, at the time of Rauschenberg’s first solo art exhibition at the Leo Castelli Gallery, his work had moved from abstract painting to drawings like to what Rauschenberg termed “combines.” These combines, which were meant to express both the finding and forming of combinations in three-dimensional collage, cemented Robert Rauschenberg’s place in art history. One of Rauschenberg’s first and most famous combine was entitled “Monogram” (1959) and consisted of an unlikely set of materials: a stuffed angora goat, a tire, a police barrier, the heel of a shoe, a tennis ball, and paint. This pioneering altered the course of modern art. 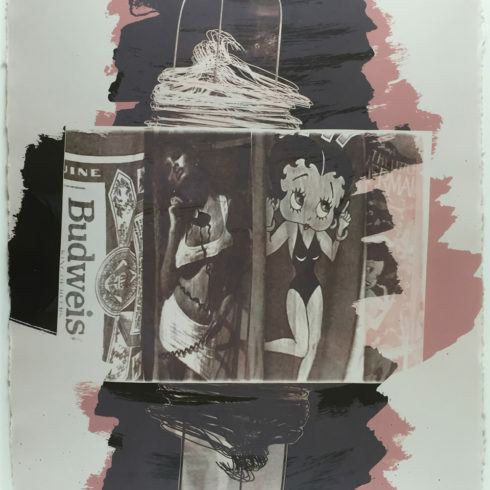 As Pop Art emerged in the 1960s, Robert Rauschenberg’s art was beginning to incorporate not only found objects but found images as well – photographs transferred to the canvas by means of the silkscreen process. 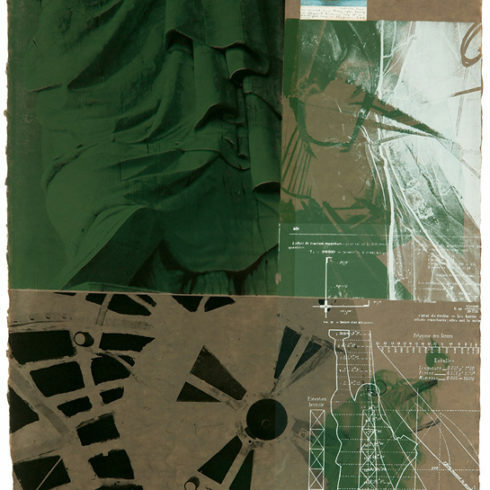 Robert Rauschenberg transferred prints of familiar images, such as JFK or The Statue of Liberty, to canvases and overlapped them with painted brushstrokes. 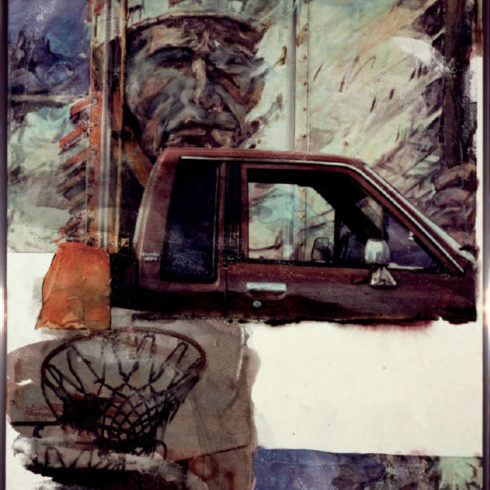 Using this new method Robert Rauschenberg could make a commentary on contemporary society using the very images that helped to create that society. In this respect, his work is contemporaneous with that of Andy Warhol, and both Robert Rauschenberg and Jasper Johns are frequently cited as important forerunners of American Pop Art. From the mid 60’s – 70’s Robert Rauschenberg continued to experiment in originals prints by printing onto aluminum, moving plexiglass disks, clothes, and other surfaces. In 1966, Billy Klüver and Robert Rauschenberg officially launched Experiments in Art and Technology (E.A.T.) a non-profit organization established to promote collaborations between artists and engineers. 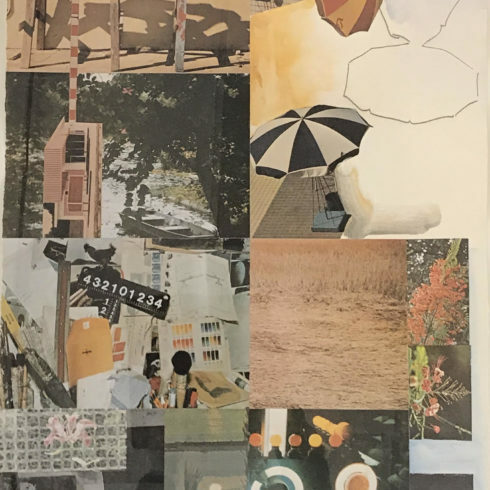 Throughout the ’80s and ’90s, Rauschenberg continued his experimentation, concentrating primarily on collage and new ways to transfer photographs. In 1998 The Guggenheim Museum put on its largest exhibition ever with four hundred works by Robert Rauschenberg, showcasing the breadth and beauty of his art, and its influence over the second half of the century. Robert Rauschenberg died in May 2008, of heart failure, at his home on Captiva Island, FL at the age of 82. Building on the legacies of artists Marcel Duchamp, Kurt Schwitters, Joseph Cornell and others, he helped obscure the lines between painting, sculpture, photography, printmaking, dance, and technology, technology — not to mention between art and life.